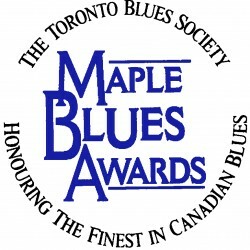 Studying The Blues: Radio personality Larry Green is lecturing a course on blues music at the University of Toronto at the School of Continuing Studies on Wednesday nights 6:30-8:30pm for six sessions starting April 3. 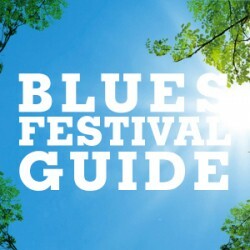 Here is the course description: The Blues is a wonderful, stimulating and fascinating kind of music, combining many elements of jazz, big band, country, urban and folk. The Blues isn’t always sad, but also joyful and inspiring. During this six-week interactive course, we will explore it all — we will talk about the Blues, learn how to listen to it more appreciatively, and enjoy the occasional guest and giveaways. 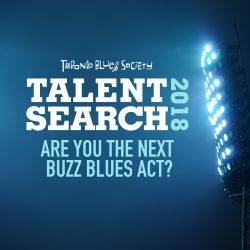 It’s not something you hear every day, but you’ll want to “get the blues.” to enrol in this course or search for other available offerings visit http://learn.utoronto.ca. George Olliver’s celebrates 50 years: Those who recall the glory days of Toronto music, when Yonge Street and Yorkville were buzzing with world-class live music in the 1960s and 70s —and those who’ve heard all about it and wish they’d been there— know the name of George Olliver, The frontman of iconic Mandala and member of several other groups that helped create and define “The Toronto Sound” has been an enduring attraction for coming up on 50 years. Olliver will, in fact, hit the half-century mark as a professional entertainer on Sunday April 21, when he and a slew of his musical comrades from over the years celebrate with a mammoth concert party at St. Clement Hall at 76 Overlea Blvd. in Toronto. The 6 p.m. event, the 14th in a series of Honouring Our Own tribute concerts staged by SongTown impresario Pete Otis, will feature George and members of his Gangbuster band plus fellow legends such as singers Steven Ambrose of The Lincolns, A&M recording artist Betty Richardson and Juno nominee Jay Douglas and Juno award winner Cathy Young. The bill also includes McKenna-Mendelson Mainline guitarist/writer Mike McKenna, Luke Gibson of Luke & The Apostles, Bobby Dupont of The Royals and Sweet Blindness, and Whitey Glan, drummer for Mandala and the Alice Cooper Band. Roger Ashby of CHUM radio will be the emcee for the show, for which advance tickets are available for $30 by visiting www.songtown.ca , emailing peteotismusic@hotmail.comor calling 416-522-9896. Layla Zoe Update: Blues belter Layla Zoe has been off work for more than two months with a back injury and a benefit concert to help pay for her recent emergency back surgery and related medical costs is slated to take place March 30 in BC. Zoe suffered from back pain last year while touring, but was unaware she had had a disk extrusion as she was in Europe and unable to get a proper diagnosis, she said. She also suffers from degenerative disk disease in her lower lumbar. When she came home in December she collapsed and was unable able to walk, and spent Christmas Eve in the emergency room of the Nanaimo Hospital. She has since had back surgery but it will be several months before she can walk normally again, she said. She has had to cancel shows in Canada and Europe and postpone the recording of her new album in Germany. Zoe is a resident of Quebec which has different health care regulations than the rest of the country, she said, and therefore she’s had to pay for every doctor’s appointment, MRI, blood test and other consultations herself, and she may not get any of that money back. A special compilation CD is available for purchase for those who can’t make the concert, as well as physical copies available at the event. It includes music from Layla’s first four albums remastered by Raines Records, called Years in the Blue Flame. Visit www.nimbitmusic.com/laylazoe to download an edition and make a donation for the album. For more on Layla Zoe visit www.layla.ca. R.I.P. Larry Leishman: Many local players were shocked to hear of the sudden death of Larry Leishman, guitarist with Jon and Lee and the Checkmates (aka the Jon-Lee Group) in the sixties, Rhinoceros and Blackstone in the ’70 and the reunited John Finley and the Checkmates in the ’90s. Bill Munson writes, “The Checkmates were a fabulous Toronto R&B group, whose one and only record, “Bring It Down Front”, was a big local hit in ’67. Larry rejoined three fellow former Checkmates (John Finley, Michael Fonfara and Peter Hodgson) in Rhinoceros for their third LP in 1970 (since reissued on CD). On that one his best showcase is “Rain Child”, a blues that he co-wrote with singer-drummer Duke Edwards, who calls Larry into the song under his nickname, ‘Blue’. In the studio: Hot on the release of Christmas With The Blues, David Gogo is back in the studio recording a new album. David writes ” Rick Salt is back co-producing and guests so far include David Vest and Shawn Hall ( Harpoonist ) as well as the many talented locals that we are so lucky to have on Vancouver Island . I co-wrote a couple of songs with Melisa Devost (who has worked with Ken Whiteley ) so there is a Hornby Island connection which is cool since I’ll be returning for my 14th year as an instructor at their annual blues camp in May.” . The album is scheduled for release it on June 18 . Save Trumpet Records: Mississippi bluesman Sherman Lee Dillon has been spreaheading a campaign to restore the site of the Legendary Trumpet Records on Farish Street in Jackson, Mississippi. Trumpet Records was the first record company in Mississippi to achieve national stature through its distribution, sales, radio airplay and promotion. Willard and Lillian McMurry launched the label from their retail store, the Record Mart at 309 North Farish Street, in 1950, and later converted the back room into a recording studio. The first releases by Mississippi blues legends Sonny Boy Williamson No. 2, Elmore James, and Willie Love appeared on Trumpet in 1951. The primary artist on the Trumpet label was Sonny Boy Williamson (Rice Miller), who had eleven records released between 1951 and 1955, the label’s final year of operation. The McMurrys continued to record country artists for their Globe label until 1956. “Dust My Broom” by Elmo (Elmore) James was the only Trumpet record to reach the national rhythm & blues charts of Billboard magazine (in April 1952), but other records by Williamson and Willie Love appeared on regional charts as far away as California and Colorado. Lillian McMurry was elected to the Blues Foundation’s Blues Hall of Fame in 1998. She died on March 18, 1999. Her husband Willard, who provided the backbone of support for their business ventures, died on June 7, 1996.